Chess has long been known as the world’s deepest thinking game. 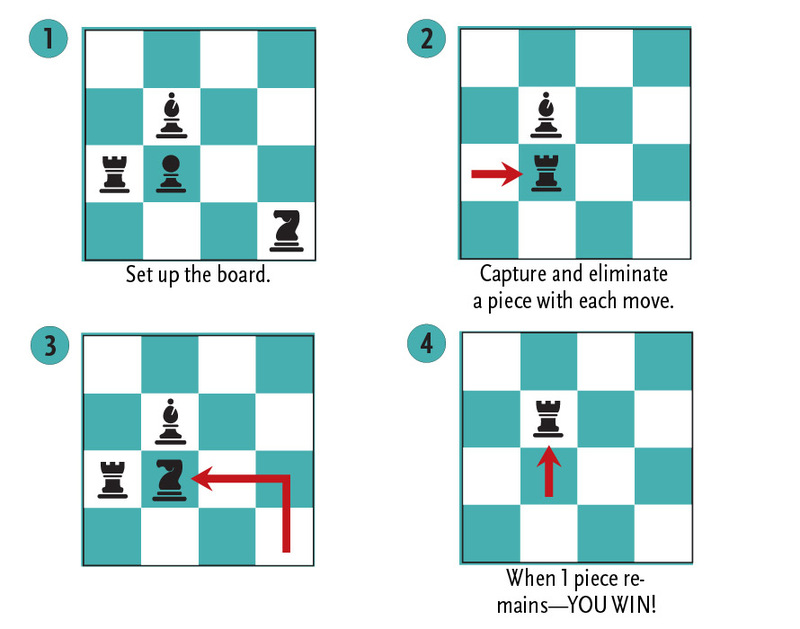 Solitaire Chess® combines the rules of traditional chess and peg solitaire to bring you a delightful and vigorous brain workout! It’s okay if you’ve never played chess before, this is an inviting way to learn some chess playing strategies or build the skills that you already have!